DjVu Converter is a free DjVu image conversion software, it can convert DjVu images to PDF documents, EPUB e-books, or TIFF, JPG/JPEG and PNG images. 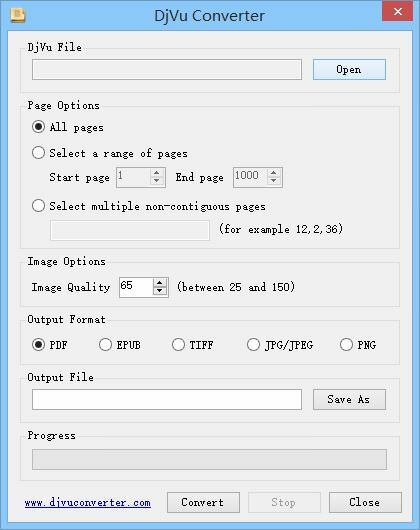 You can convert all pages or select partial pages, and can control image quality of output image. Software is easy to use, no complicated settings and complex steps, with a few mouse clicks, you can breezed complete DjVu files conversion by yourself. If you need more information please contact the developers of DjVu Converter, or check out their product website.